Squirty ... The cover of Lone Taxidermist's album, Trifle. 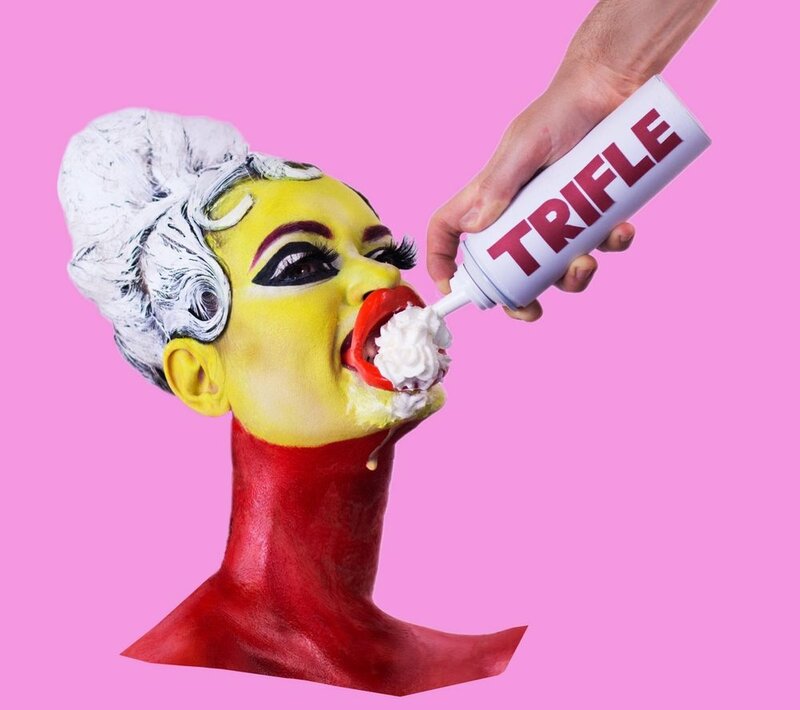 Electronica erotica from the extraordinary singer and makeup artist Natalie Sharp and band, combining rude humour with bodily boldness, from the new album entitled Trifle, available on Memetune Records.